Deewana magazines, early 1970s. From the University of Chicago Library. दीवाना Deewana, “Crazy”. 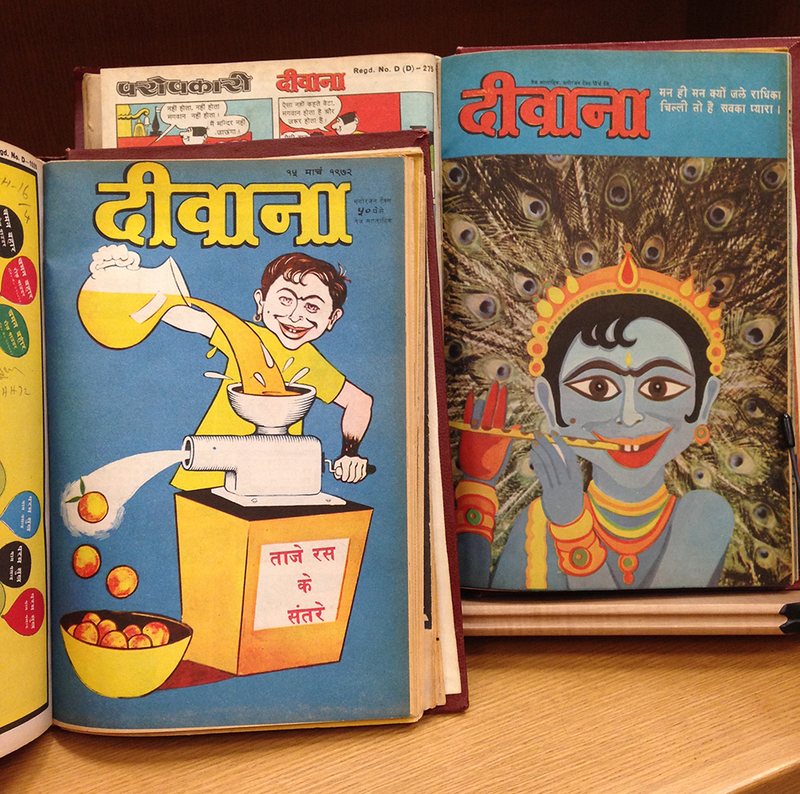 In the University of Chicago Library archives, I found a few years’ worth of Hindi MAD magazines from the early 1970s. The Alfred E. Neuman mascot seen on English-language MAD covers has been replaced by this buck-toothed, unibrowed lad! Here, he’s making “fresh orange juice” using a typical India juice machine in reverse order, and is dressed as Krishna on the right. I haven’t been able to find any information about the magazine online, unfortunately. It contained lot of fun.